Frugal & Fabulous: Giveaway& Review: Cumberland Farms Farmhouse Blend Coffee! Giveaway& Review: Cumberland Farms Farmhouse Blend Coffee! Farmhouse Blend is the best tasting coffee Cumberland Farms has ever made. With just the right blend of 100% Arabica beans, it has a wonderful blend of aroma, body, and flavor. And the best part? At $.99 for any size, any time, it is an inexpensive way to treat yourself. I have two Cumberland Farms stores near me and I love to stop there for ice coffee! For $.99 how can you go wrong?! What I didn't know however, was that Cumberland Farm's Farmhouse Blend is also available in pre-ground in bags, making it easy to brew a delicious cup of coffee any time! My husband and I brewed a pot of Farmhouse Blend at home just this morning and it was awesome! The coffee was the perfect strength and it tasted great! 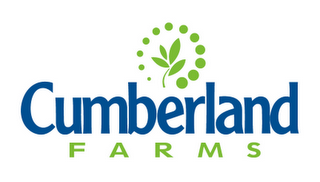 I will definitely buy Cumberland Farms Farmhouse blend in the future! Win it: One lucky Frugal & Fabulous reader will win a pound of Farmhouse Blend Coffee! 1. Tell me which Snorg Tee is your favorite! I love their coffee! I would love to win! Never heard of them, but I'm a coffee lover and always looking for new brands to try! yum! Of course I would love to win! Love coffee... would love to win! as a grad student, i love trying new coffee! i'd love to win! not sure if this is supposed to be an entry, but i love the comma chameleon shirt! I also like your page on FB! Love coffee! I want to win! I haven't tried it so i would LOVE to win!!! I'd love to win! I'd love to try their coffee. I like the chinchillin shirt from snorg tees. I'd love to find because I'm a college student who lives on coffee! I'm always looking for new brands to try. I am following you on twitter (donna_cairns)and I tweeted about it. Thanks for the reminder... I forgot to sign up when you first announced... and YES, I'd love to win! Current email subscriber ((1955nursehjc4me(at)myway(dot)com)) confirmed! I would love to win some Cumby's coffee! !